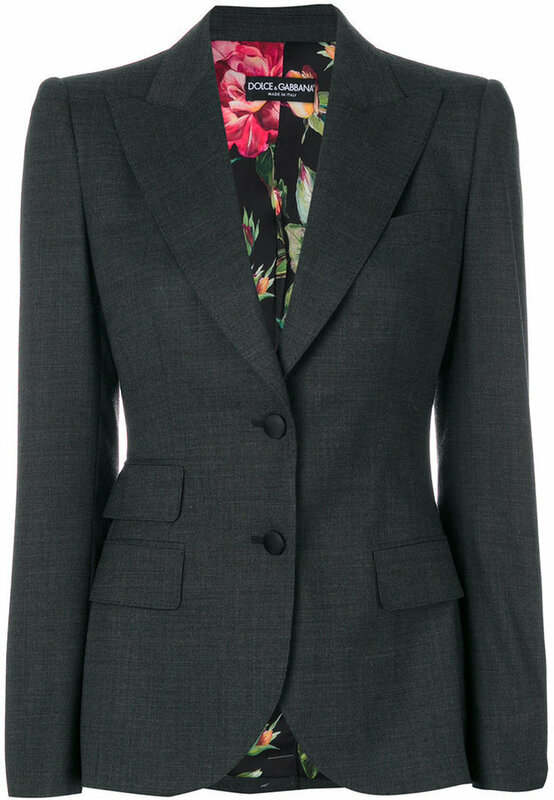 If you're after a casual yet absolutely chic look, reach for a Dolce & Gabbana fitted blazer from farfetch.com and grey check tapered pants. These pieces are super comfy and they also look great when paired together. White canvas high top sneakers will add more playfulness to your ensemble. If you're searching for a casual yet totaly stylish getup, try pairing a charcoal blazer with black leather skinny jeans. Both of these garments are very comfortable and they will also look great together. Take your outfit into a sportier direction with black leather lace-up flat boots. We're all looking for comfort when it comes to dressing up, and this combination of a Dolce & Gabbana fitted blazer and blue ripped boyfriend jeans is a good illustration of that. Sporting a pair of silver leather oxford shoes is an easy way to add extra flair to your outfit. 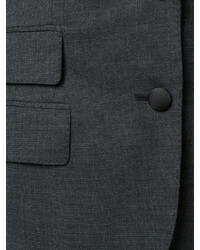 If you're after a casual yet incredibly stylish getup, go for a Dolce & Gabbana fitted blazer and black skinny pants. Both of these garments are super comfortable and look fabulous when paired together. If you're on a mission for a casual yet totaly stylish getup, consider pairing a Dolce & Gabbana fitted blazer with white dress pants. These two items are super comfortable and they also look stunning when paired together. Break up your ensemble with more casual footwear, like this pair of white leather flat sandals. If you're looking for a casual yet seriously stylish ensemble, opt for a Dolce & Gabbana fitted blazer and black leather skinny jeans. Both of these items are very comfortable and they will also look great together. Bump up the cool of your getup by completing it with black leather ankle boots. If you're on a mission for a casual yet incredibly chic outfit, dress in a Dolce & Gabbana fitted blazer and black skinny pants. These two pieces are very comfortable and they will also look great together. For something more on the daring side to round off this outfit, throw in a pair of tan suede slip-on sneakers. 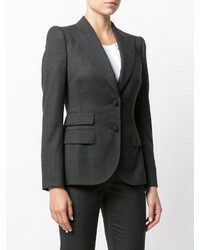 Try pairing a Dolce & Gabbana fitted blazer from farfetch.com with black leather leggings for comfort dressing from head to toe. To add oomph to your outfit, complete with black leather pumps. If you're on the lookout for a casual yet seriously chic ensemble, consider pairing a Dolce & Gabbana fitted blazer with black skinny jeans. Both pieces are super comfortable and they will also look great paired together. Break up your outfit with more casual shoes, such as this pair of green high top sneakers.